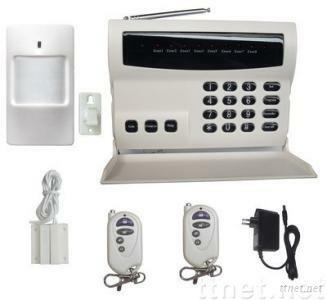 Product details ◆With the crystal keypad to operate on the mail panel. ◆Wireless 8 defense zones , all which could be displayed on the panel. ◆Can set 6 user's phone numbers and 2 alarm center numbers. ◆Long distance to alarm/disalarm/monitor. ◆Each defense zone can have 28 detectors and remote controllers. ◆The panel will send signal if the detectors go wrong or being short of power. ◆Any accessory can be compatible to the system. ◆Cutting the phone wire will cause the sudden alarm to prevent people from destroy. ◆Alarm call has the priority to the normal call. ◆Can connect with the alarming center, after alarm, the center can know the detailed information of the owner, such as the position, alarm zone, telephone. ◆With international Ademco Contact ID,can work with the monitoring center. Security & Protection, Alarms & Sensors, Alarms & Sensors/n.e.s.